Does your family observe special holiday traditions that have been passed down generation after generation? Are you always hearing stories about how your mother's great-great-great-great- grandfather was a wild adventurer or that your great-grandma on your dad's side descended from royal lineage? Finding out the truth about family folklore is often what motivates people to trace their ancestry. Other people's interest in genealogy comes from the need to discover their "roots," and to understand "who they are" by learning where they came from. 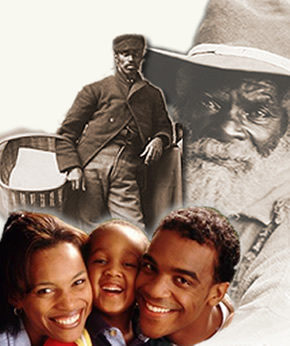 The study of family history is called Genealogy, from the Greek words for "race" and "theory." Tracing your family history allows you to discover more than just your ancestor's names and the dates they were born and died. You may also find out what these people were like, how they lived and how their attitudes live in you. You may develop a new appreciation and perspective of history and geography, and even discover a cultural compass that explains a part of yourself. Exploring genealogy means becoming an amateur detective. Discipline and rigorous note-keeping is essential.. The first step is to set up a record book. A three-ring binder with loose leaf paper is handy because it will allow you to move things around as you find information, or, if you're computer literate, a special file and disc. It's important to get in the habit of writing down everything you do and every avenue you explore, including names of experts or organizations, documents, book or source names and reference numbers. Make entries even if a search comes up empty and you don't find anything; it will help you from duplicating your efforts or to re-trace your steps(1). In recording findings of the surname you are looking for, you should note all entries of the surname and its variants. Always spell the names exactly as you see them. Surnames were originally used by individuals to distinguish themselves from their friends and neighbours, and these are the names they died with. In time names became fixed and were inherited, passed on from one generation to the next. Surnames generally derived from personal nicknames(Whitehead, Little), occupations(Wheeler, Smith), dwelling places(Hill, Cornwall) or patronyms. An example of a patronym is Robertson: a man takes his father's Christian name, in this case Robert, and the suffix "-son" is added to make the surname. This originally changed with every generation(2). Most cultures traces their ancestry through the male line. This is because the surname remains the same in each generation. It is best to tackle only one side of your family's history at a time, to avoid confusion. If you get stuck with your paternal ancestry, then you can turn to your mother's families, tracing them through the male line as well(3).